There is never enough storage space in an average car repair shop. Since mechanics have to be productive and efficient throughout their work day, they need to arrange and keep their tools and machines in apple-pie order. This is why many of them adapt storage containers and items of furniture from other shops to create ample storage space in their garages. We have analyzed some of their solutions and made a short overview of the most practical ones. Although not directly a member of the storage crew, the floor is the foundation of every garage. Due to the fact that garages have the highest spill rate when it comes to car oils and grease, the flooring has to be made of easily cleaned and affordable material. If you want to make your garage floor a firm and cleaning-friendly area, the only thing you should do is cover it with epoxy. However, we have to place a disclaimer here – since it can also get pretty slippery when covered with water, epoxy should be used only for the garage area on which the fluids in a car are checked and changed. Car repair shops are usually full of heavy and bulky machines and other massive devices. 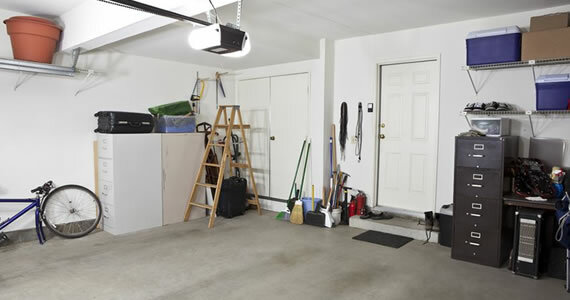 In order to be able to free the space you need at every single moment inside the garage, it would be wise to install wheels to each and every machine, chair and device that you use there. That way you will be able to move them whenever they are needed by other mechanics. Also, your workers will have better work conditions, since they will not have to lift that heavy stuff anymore. When talking about car repairs and places that provide such services, it is clear that they literally contain loads of nuts and bolts. Losing those tiny parts could result in losing a customer from whose car they have been removed, too. Such an outcome would not only be an unpleasant situation, but pretty bad marketing, as well. Out of all these reasons, every garage needs to have a sufficient number of proper containers for small tools and tiny parts. From old cardboard holders thrown out of some old library to adjustable pallet racks that can cover the overhead area, you can repurpose various containers to store your precious parts. While smaller tools can be easily accommodated on racks, larger items need a different treatment. A skilful mechanic needs a drill, several storage hooks and a few metal boxes to turn their garage walls into tool havens. Tools such as pliers, screwdrivers and wrenches can be stored in metal boxes. On the other hand, wall hooks are a perfect solution for those massive tools, like mallets, large hammers and crowbars. If you want to get more inspiration to organize your garage tool in an efficient way, you should definitely check out these ideas. The key of an efficient business is fine space organization. Getting enough storage units to accommodate all the spare parts, as well as large and small tools is a must for every mechanic who wants to be productive. Only a well-organized garage will give you enough room and time to run a successful car repairing business. A garage is not really a place you’ll be spending much time. This is the reason why people often turn to alternative building materials for building a garage. The requirements are simple. It has to protect your four-wheeled friend from the elements and provide substantial thermo insulation. Here are two ideas for making a lovely garage that won’t break your bank. One popular budget-friendly option is to build a wood pallets garage and at the same time salvage a couple of dozens of pallets. When you find a suitable location for your garage, the first thing you should do is remove all vegetation and debris, leveling the ground and compacting the soil in the process. You should roll until it’s an inch or two below the surrounding earth. Wood pallets are inexpensive building material that costs from nothing to a couple of bucks each. They are usually made of fairly good treated wood and hence almost perfect for building a large long-life garage. All you need besides pallets is some plywood, a bucket of nails and a couple of hinges for the door. The floor of the garage should be made with newer pallets which are in the best condition followed with a layer of thick plywood to support the car weight. Any remaining pallets that are broken up or damaged can be used for filling the gaps between the slats. You can also chose to build concrete floor, it depends of where your garage location is and how big your budget is. If you want to watertight your garage, a good option is to use marine-grade plywood for covering the walls and the lean-to roof, which will protect your car from the elements but still provide necessary draught and quality ventilation. The garage door can also be made from pallets. You can take a couple of damaged or extra pallets apart and use the strips of wood to overlap the spaces between the slats. When finished, give it a coat of protective paint and you can be sure it’ll withstand more than 10 winters! And the best part – you’ve built an amazing eco-garage from recycled materials to your own liking. 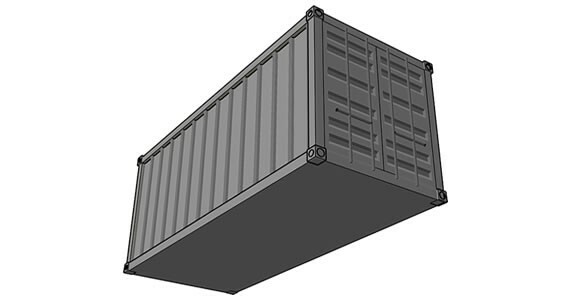 Shipping containers are built to last and withstand the rough weather and handling on high seas. Used ones are relatively easy to obtain and have many secondary uses for imaginative owners. The fact is, you can easily change one into a car garage, tool shed or storage. The best thing is that they are built in factories by high industry quality standards and they are all equally sized, but you can still modify them if needed. In addition, reusing a retired shipping container can be observed as a form of recycling, so the whole concept is environmentally friendly and low budget-friendly. Start by pouring the concrete slab. Once the concrete is dry, place the container on the slab. If you want to protect your car from the winter chill, a simple insulation using polystyrene sheets on the wall and the ceiling will do the trick. Don’t forget to make a ramp for driving the car into the container. Since containers are pretty much draught resistance, installing a dehumidifier will prevent any damp from damaging your stuff or giving the car upholstery an odor. Contrary to popular belief, a garage does not have to be only used to store the car, the kids’ bikes or the Christmas decorations. If you are a true car enthusiast, you will want to transform your garage into an ultimate garage. Transforming your garage into an ultimate garage is not as hard as it may seem. By following a few simple steps, you will be able to create a garage that will be considered an ultimate garage. 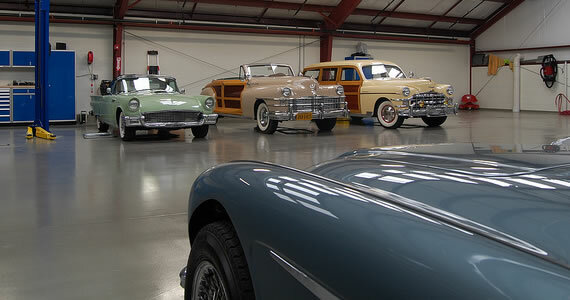 The first step in creating an ultimate garage is to transform the flooring. The traditional cemented porch will not work if you want to have the ultimate garage. You will want to have floor mats that are specifically designed for a garage. These floor mats may be designed in camouflage, or they could be the colors of your favorite sports team. Most garages are known for having work benches in them, and your garage should not be any different. However, your work bench will not only be used for storing your tools and power equipment, but it will also be used to give you space to store things such as keys, soda cans and other items that are not expected to stay permanently. Having a few extra drawers will ensure that the keys for your many different cars will not be lost. With an ultimate garage, you will probably need lots of storage space; therefore, you will want to have lots of nice cabinets installed on the wall. There are a broad range of options for storage space in garages, but it can be surprisingly affordable to get cabinetry that will really impress. What is the point of having an ultimate garage if you do not have a refrigerator stocked with beverages and food? It is important that you do not rely on the small office refrigerator, but instead, you should opt to get a full-size stainless steel refrigerator. After working all day to get your car’s engine exactly like you want it, you will definitely want to be able to grab a beverage without having to go to the kitchen refrigerator. Finally, an ultimate garage has to have a great entertainment system. An ultimate garage will be the perfect spot to hang out all day long. With a quality entertainment system, you will be able to watch the best movies and sporting events in the perfect environment. An ultimate garage is a must have for the car enthusiast. Whether you are working on a car or simply enjoying a day to yourself, you will enjoy the ultimate garage. Using the preceding ideas and ensuring that you’ve repaired all that ails your garage, (like getting a service such as Jacksonville Garage Door Opener to help unstick that stuck door), you’ll have an ultimate garage that will really impress your friends.